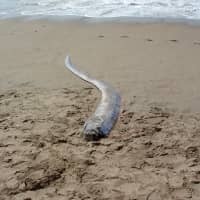 Numerous reports of oarfish — a rarely seen deep-sea species — captured or spotted in waters around Japan since the beginning of the year have sparked concern that an earthquake could strike soon. 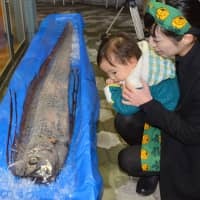 According to local folklore, sighting the fish is a harbinger of a pending quake, with over a dozen such sightings or captures being reported in Japan so far this year. Still, experts have called on people to remain calm, assuring that there is no direct correlation between the fish and earthquakes. 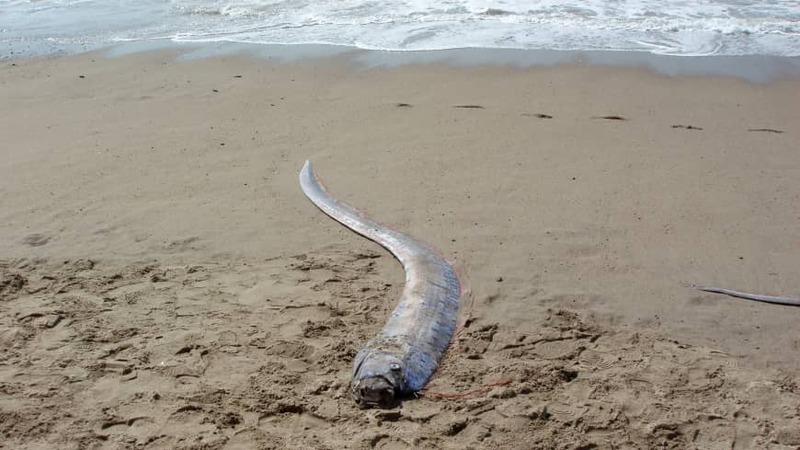 The oarfish, which can grow as long as 5.5 meters and has a long and thin silvery body, is believed to live in the northern Pacific and the Indian Ocean at a depth of about 200 meters. The fish migrates to Sea of Japan waters on the Tsushima Current. Called ryūgū no tsukai in Japanese, meaning the messenger from the palace of the sea god, they are seldom caught in fishing nets. 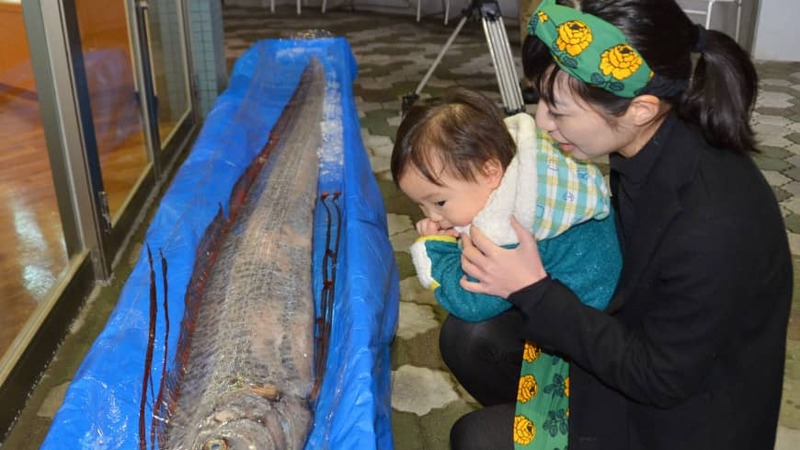 However, a total of six oarfish have been recently caught or found beached in Toyama Bay in Toyama Prefecture. Two have been caught in fishing nets off the village of Yomitan in Okinawa Prefecture, and one each off the city of Maizuru in Kyoto Prefecture, the city of Toyooka in Hyogo Prefecture and the city of Nanao in Ishikawa Prefecture. And just this month, one each was found off Sado Island and the city of Joetsu, both in Niigata Prefecture. 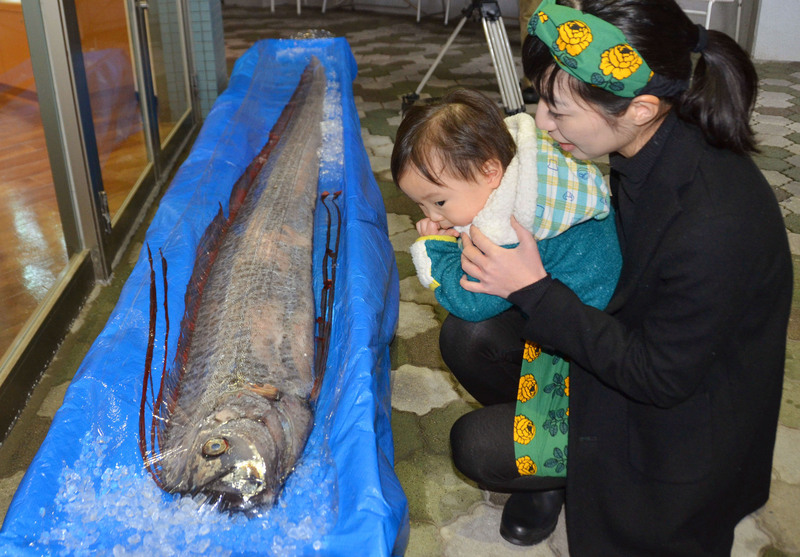 An oarfish was also found in waters off the northeastern South Korean province of Gangwon-do on Jan. 8, according to the JoongAng Ilbo newspaper, a local daily. Some researchers speculate that oarfish may move into shallower waters due to electromagnetic changes that occur when there is tectonic movement related to faults. Some people have voiced concern on the internet. 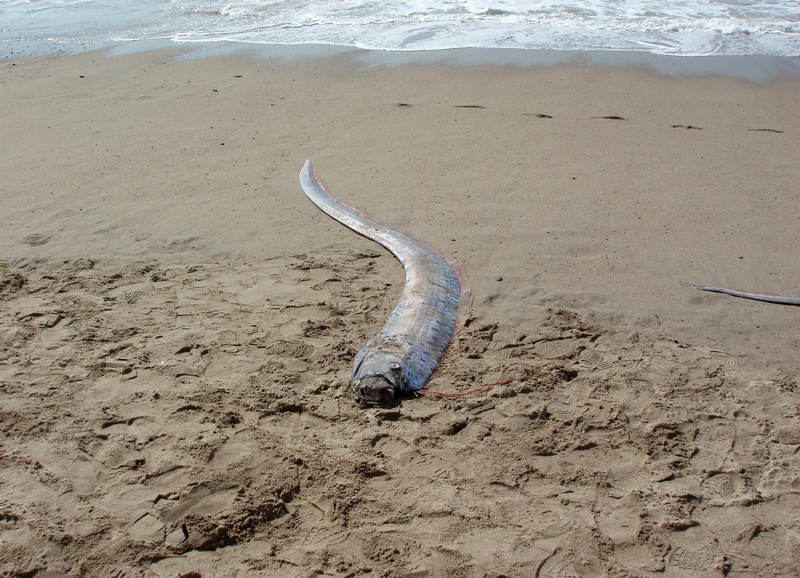 One person said, an “oarfish was seen before the March 2011 great earthquake” that struck the Tohoku region. Another said that the recent sightings of the fish may have something to do with a possible huge quake that could occur in the Nankai Trough in the Pacific.